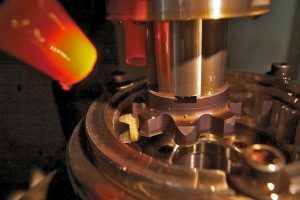 Relating gear pairs to manufacturing errors may lead to better designs for mated gears. 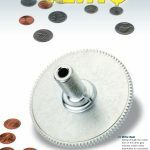 Gear whine noise, particularly in consumer products such as motor vehicles and appliances, is an important and annoying problem. 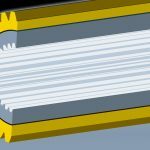 This problem has been exacerbated due to the continual reduction in sounds from other system noise exciters such as motors, engines, and wind. In an effort to control gear whine noise, one must select both the proper gear design as well as the profile modifications needed to optimize the design. 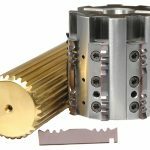 Once this is done, it typically becomes difficult to economically manufacture the gears with their optimized modifications. 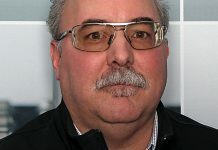 One goal is to select designs that have a low sensitivity to manufacturing errors, thus allowing a much lower statistical spread in the noise levels of the gearbox. In this paper we present a procedure for identifying the sensitivity of a gear pair to manufacturing errors such that individual gear designs may be compared to one another in an effort to achieve low manufacturing sensitivity. 1) Transmission Error: defined as the deviation from perfect motion transfer of gears. Transmission error may be attributed either to manufacturing error of the tooth surface, or to gear tooth deflections caused by the transmitted load. 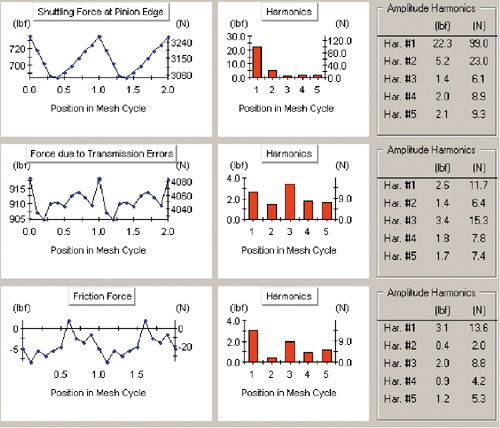 2) Mesh Stiffness Variation: the change in tooth stiffness that occurs when the lengths of lines of contact change as the number of tooth pairs in contact change. The deflection portion of transmission error results from mesh stiffness changes. 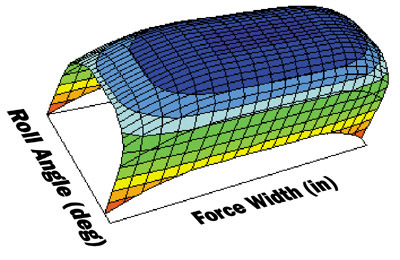 3) Axial Shuttling Forces and Bearing Forces: the shuttling force is a force change at bearings due to the centroid of the mesh force shifting axially a slight amount along the tooth face width. The bearing force is calculated with a simple application of statics (Borner and Houser ). 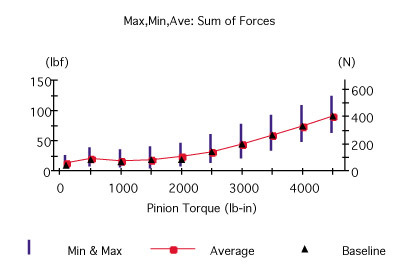 4) Friction forces: result from the relative sliding that occurs in gear tooth meshing. As with axial shuttling, statics may be applied to obtain time varying bearing forces resulting from friction (Ishida , Borner and Houser ). 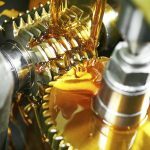 5) Air and Lubricant Entrainment: occurs in high-speed gears and may cause a whistling effect. In this paper we will consider the first four factors and discuss how they can be minimized. 1) Select candidate gear geometries based on durability criteria. 2) Optimize tooth surface topography for minimum transmission error that still gives acceptable stresses. 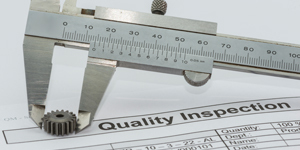 3) Analyze the design for sensitivity to manufacturing errors. 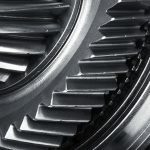 Conventional gear design that occurs in the first step usually is based on durability issues, and if noise is a consideration, it is usually considered after the design is selected. 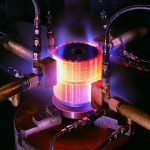 In our scenario, we propose that for each design iteration, manufacturing variability be considered such that the final design has a low tolerance to manufacturing variability. One such approach for creating numerous candidate designs has been presented by Houser and Harianto . 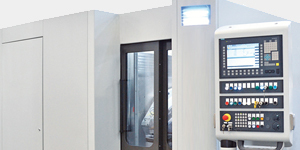 Next, for each candidate design we propose to come up with profile and lead modifications that are easily manufacturable, yet provide low values of transmission error as well as meeting design durability requirements. 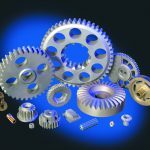 For this purpose a simulation procedure is needed that rapidly evaluates transmission error, bearing forces, and stress values based on the actual load sharing of the gear pair. For the simulations used here, we are using the Load Distribution Program, a program written at The Ohio State University that uses a procedure that was first developed by Conry and Seireg  and has subsequently been used in various forms by many authors (Kubo , Velex ). 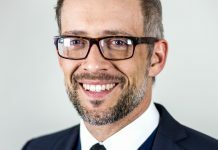 The procedure has been shown to provide excellent correlation between predicted and measured values of transmission error (Bolze and Houser , Vinayak ). 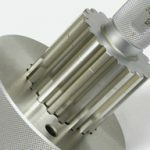 In our example cases, we have chosen a helical gear pair that has been tested both at NASA Glenn Laboratory  and at The Ohio State University . 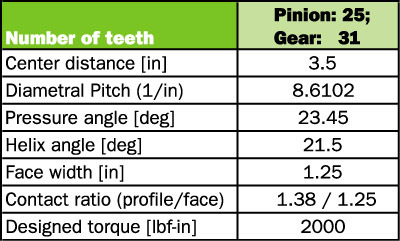 The specifications of the gear set are given in Table 1. 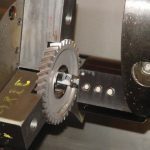 In order to improve gear whine and to avoid increasing stresses due to manufacturing errors and misalignment, tooth modifications that remove some material are generally installed. 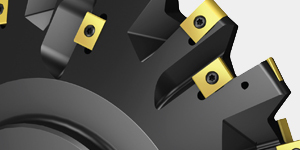 Several types of shape modifications including circular crowning, bias modification, profile slope, and tip relief modifications are often used. In most cases of this study we have used circular modifications, but in one instance we used parabolic modification and vary both the parabola’s starting point and modification amplitude, both in the profile and face width directions. 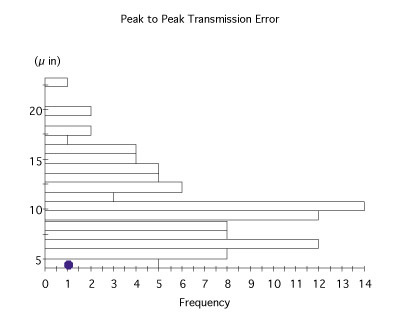 Figure 1 shows a summary of the effect of the joint application of profile modification and lead modification on the transmission error prediction. It should be noted that the optimum modification (red region) might be all profile crown or all lead crown or a combination of the two. 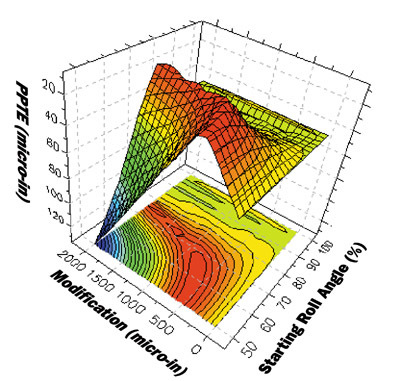 Once the lead crown is chosen, one may determine the optimum shape of the profile modification by varying both the starting roll angle of the modification and its amplitude. 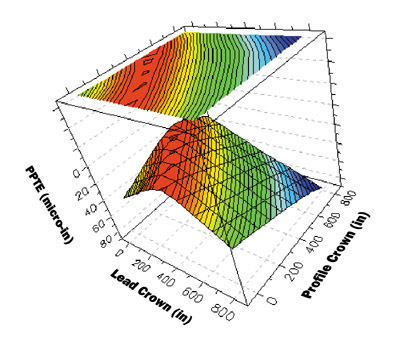 The optimum profile shape for zero lead crown may be selected from the red region of Figure 2. Again, one finds that there are many combinations of starting roll angle and amplitude of relief that provide near minimum transmission errors. 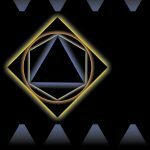 For instance, if one chooses to use a circular modification, this would be the equivalent of a modification starting at the 50-percent roll angle position (parabolas for tip and root relief starting at the center of the active tooth profile). In this case we would use about 600 micro-inches of modification. One might also use this curve for the study of manufacturing sensitivities since, if we pick an operating point, manufacturing error would be depicted by movement away from the set point. In the circular modification case, we find that the design is much more sensitive to errors in the amplitude of modification than to errors in the starting roll angle. The optimum modification amplitude results for the above, zero lead crowning case, are given in the second column of Table 2. Also shown in the table are similar results for equal profile and lead modification (column 1), lead modification only (column 3), and one set in which parabolic modifications were used (column 4). Figure 3a In the parabolic case, the lead was kept straight across most of the tooth and only edge modifications were applied (shown in the second part of Figure 3b). In this case the optimal transmission error is about one-third of the values for the other three cases. 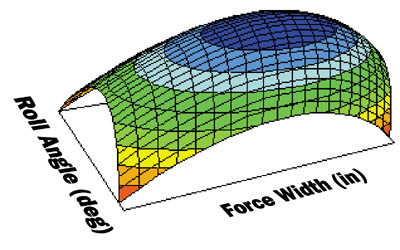 The results of the statics analysis of the three bearing forces of the minimum transmission error gear pair are shown in Figure 4. The transmission error force, computed by multiplying transmission error by the average mesh stiffness is, for this case, much lower than the shuttling force and of the same order of magnitude of the friction force. From a practical viewpoint, this shows that if we minimize only one of the bearing forces, the others do not diminish significantly, and noise will not be totally reduced. Therefore, an alternative approach might be to reduce the sum of the bearing forces as opposed to minimizing the transmission error, as was done in this paper. 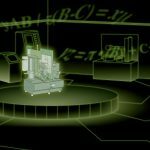 Although the simulations of manufacturing errors are simple in formulation, they do have relations to actual machining errors, as are given by Moderow . For instance, profile slope error occurs due to hob sharpening errors or hob wear. Profile curvature, which is depicted as a circular error in this application, might be the result of inaccurate applications of tip relief, or could come from hob mounting errors or hob wear. 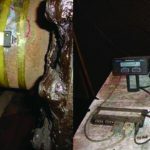 Lead slope is classically due to mounting misalignment, both in cutting the gear and in mounting it in its application. 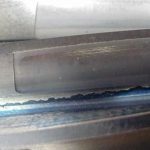 Lead crown error, which is also applied using a circular shape, is likely due to inaccurately applying the lead crowning during machining. 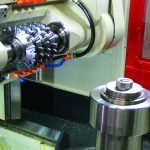 In this particular case we assumed each of the errors to take on the value that is recommended for AGMA quality 10 gears  as shown in Table 3 (using the old AGMA quality system). In this approach, one enters the standard deviation of each manufacturing variable, and for each simulation the value of that variable is randomly sampled from a Gaussian (normal) distribution. For the purposes of this example, one standard deviation is considered to be one-sixth of the error range of an AGMA quality 10 error. The results of 100 randomly sampled combinations of the four types of errors discussed previously are shown for the example gear pair. Figure 5 shows the typical plot that is produced by the Load Distribution Program, where we take the selected variable such as transmission error and then plot it versus torque in order to obtain the effects of manufacturing errors across a broad load range. The baseline value, the mean value of the 100 simulations, and an error band showing the extreme range of responses at each load are shown on the graph. 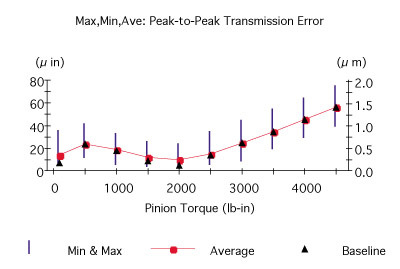 Here we see that the transmission error is minimized at the design torque of 2,000 in-lb (246 N-m). When comparing different designs we wish to minimize the length of the error bar. One may plot the distribution of the 100 responses for any load as shown in Figure 6 for the 2,000 in-lb case. In reality, one of the 100 runs tends to control the upper band of the bar. It is interesting to note that the length of the error bands does not change much for the different loads. Figure 7 shows a similar plot for sum of forces. Since both friction and shuttling forces typically increase with load, we see that the sum increases continually with increasing load. Also, the length of the error bands tends to increase some with increasing load. 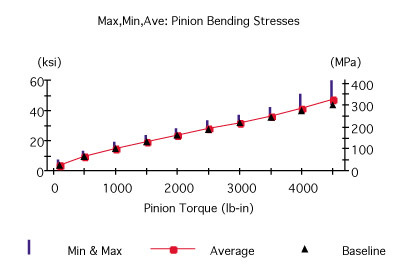 Thus far we have addressed the effects of manufacturing errors on noise excitations, but the designer is also concerned with its effect on the more-traditional design factors, such as contact stress, root stress, flash temperature, and so on. These factors are greatly affected by load distribution that may change significantly with changes in tooth surface modifications. Therefore, similar plots for contact stress, pinion root stress, and flash temperature are shown in Figure 8, Figure 9 and Figure 10, respectively. 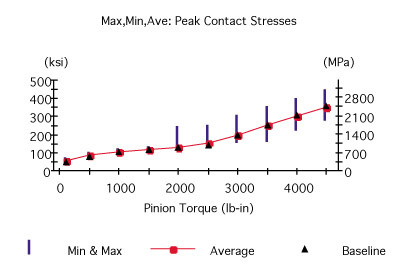 It is interesting to note that there is virtually no variation in contact stress at the lower loads, and only at the design load and higher is there a large variation in the contact stress due to manufacturing. This is because corner contact tends to occur for certain of the combinations of errors at loads above the design modification. Adding an additional relief near the ends of the profile would reduce this effect. 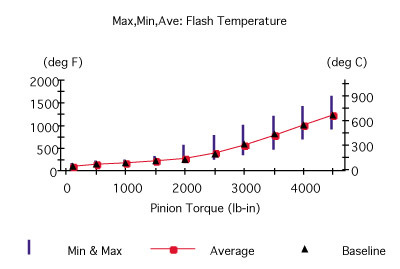 The flash temperature plot shows a similar trend, since it includes contact stress in its calculation. Table 4 shows summary transmission error results from the Monte Carlo robustness analysis of the four cases (a fifth case has been added that includes the added relief indicated in the preceding paragraph). 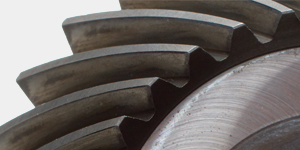 There seems to be little difference in either the average transmission error or the maximum transmission errors for the four types of modifications, although the variability seems a bit less for the tip and side relief gear pair that has a second tip relief break so that corner contact is avoided (case b). Although not shown, the side relief gave much lower values for average contact stress and the variability in contact stress with manufacturing error. 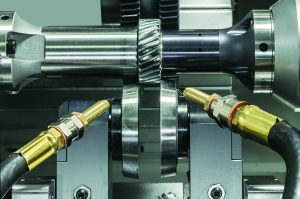 This paper has presented a procedure for accounting for the manufacturing variability in selecting amongst various gear designs using the Monte Carlo approach. 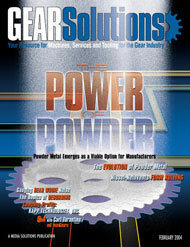 This tool is extremely powerful for evaluating the manufacturing sensitivities of various gear designs. 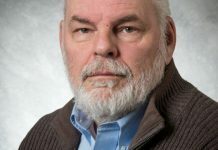 Donald R. Houser, Ph.D., is professor emeritus of the Department of Mechanical Engineering and director of the Gear Dynamics and Gear Noise Research Laboratory (GearLab) at The Ohio State University. He can be reached at houser.4@osu.edu. Also with the GearLab is Jonny Harianto, research engineer, who can be reached at harianto.1@osu.edu. Yasushi Ueda is in Drive Train Engineering, Division 1, with the Toyota Motor Corporation. Send e-mail to yasushi@ueda.tec.toyota.co.jp. 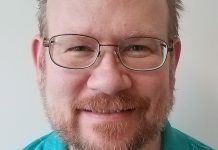 Acknowledgements: The authors would like to thank the sponsors of the Gear Dynamics and Gear Noise Research Laboratory at The Ohio State University for providing funding to support this effort. They would also like to acknowledge an earlier presentation of much of the work presented in this paper .